The Global System for Mobile Communications (GSM) system is a widely deployed digital mobile telephony standard that is deployed throughout Europe and other locations around the globe. The GSM standard leverages a variant of TDMA (time division multiple access) and is the most deployed of the three competing legacy digital wireless technologies on the market today (GSM, TDMA, and CDMA). The GSM standard works by first digitizing and then compressing information. Once compressed, the data is transmitted on a channel along with two additional streams of user information that are located in individual time slots. GSM operates in the 900 MHz or 1800 MHz frequency bands. How Many GSM Networks are Deployed? Since the first GSM network went live in Finland in 1991, the number of networks based on the technology has significantly increased over the past several decades. At the time of this writing, there are more than 690 cell phone networks that provide GSM services to consumers across more than 210 countries. 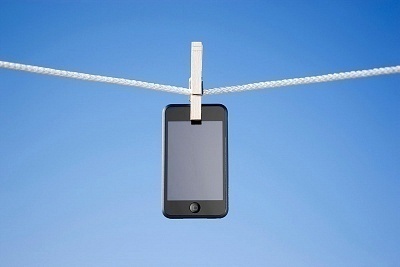 This represents more than 80% of all global cellular connections with more than two billion GSM compatible cell phones in use throughout the world. Although Europe was the early adopter of GSM technology, China currently boasts the larges GSM market in the world boasting more than 360 million network users. Russia has the second most at 145 million, followed by India (83 million) and the United States (78 million). One of the major advantages of GSM compatible phones, is that consumers are able to use the mobile phone while traveling abroad (if the phone is unlocked) by purchasing pre-paid SIM chips for the local area. This allows GSM phone users to avoid large roaming costs while continuing to use the same phone. Work began on what would eventually become the GSM standard in 1981 when CEPT (European Conference of Postal and Telecommunications Administration) formed the Groupe Spécial Mobile committee to work on a European standard for digital cell phone technology. Just over five years later, representatives from 13 European countries signed a MOU (memorandum of understanding) in Copenhagen agreeing to develop and then deploy a common cellular system across Europe. Following this agreement, European Union regulations were passed making use of the common standard mandatory once deployed. By 1987, the first GSM technical specification would reach publication in February of that year. In order to build on the previous agreement to rely on a common mobile standard for Europe, the ministers from the four larger EU countries made another political affirmation for their support of the GSM standard as part of the Bonn Declaration on Global Information Networks in May of 1987 (Germany, UK, France, and Italy). The “GSM MoU” was signed in September of 1987 and helped obtain monetary pledges for investment for the network. As a result, the European GSM network was able to see much more rapid deployment than previously thought possible. In 1986, the European Commission proposed reserving the 900 MHz spectrum band solely for the use of GSM. The Groupe Spécial Mobile committee was subsequently transferred from the CEPT to the European telecommunications Standards Institute (ETSI) in 1989. The first phase (or Phase I) of the GSM specification was published in 1990. Just one year later, former Finnish Prime Minister, Harri Holkeri made the world’s first GSM phone call when he called Kaarina Suonio (the mayor of Tampere) on July 1st, 1991. The call was made over a network operated by Radiolinja and built by Telenokia and Siemens. In 1992, the first SMS (Short Messaging Service) text message was sent over the GSM network. During that year, Vodafone UK and Telecom Finland also signed the first ever international roaming agreement. Shortly after GSM first went live over the 900 MHz frequency band, work began on expanding the standard to include the 1800 MHz frequency band. By 1993, the first 1800 MHz network went live in the United Kingdom and Telecom Australia was the first network operator outside of Europe to deploy and operate a GSM network. During 1993, the first GSM mobile phone that was practical to use on the commercial-level became available. By 1995, SMS texting, cell phone data, and fax technology were mature enough to be launched commercially. During this year, the first 1900 MHz GSM network became operational in the United States and the total number of GSM compatible subscribers across the world exceeded the 10 million mark for the first time. The GSM Association was also formed in 1995 and pre-paid GSM SIM cards were first made available in 1996. Just two years later, the total number of GSM subscribers in the world passed 100 million. The first commercial GPRS services were launched in 2000 along with the commercial availability of the first compatible mobile handsets. In 2001, the total number of GSM subscribers across the world crossed the 500 million point ,and MMS (multimedia messaging service) was introduced in 2002. During the same year, the first GSM networks that operated in the 800 MHz frequency band became operational and the first EDGE services were made available in a network in 2003. In 2004, the total number of GSM subscribers across the world exceeded one billion users. By the next year, GSM network users accounted for more than 75% of the total mobile network market with more than 1.5 billion subscribers. Later that year, the first HSDPA network became operational and the first HSUPA network was launched in 2007. HSPA (High Speed Packet Access) and the uplink and downlink versions (3G, but not part of GSM) were launched and the total number of GSM subscribers passed two billion users in 2008. In 2010, the GSM Association estimated that GSM standard defined technologies served more than 80 % of the global cellular market. This percentage includes more than five billion consumers in more than 212 territories and countries making GSM the most used standard for all cellular technologies. Of note, GSM is a 2G mobile phone standard that employs TDMA (Time-Division Multiple Access) spectrum sharing and was published by ETSI (European Telecommunications Standards Institute). GSM does not include the specifications used by 3G or 4G LTE OFDMA technology standards that were issued by the 3GPP. As a result, GSM will slowly be phased out world-wide as regions make more significant shifts to 3G and 4G phones. It will likely take some time; however, as Macau is the first region planning to decommission an existing GSM network in the early June of 2015. A GSM network is designed into several discrete sections or components. These include base station subsystems, network and switching subsystems, the GPRS core network, and the OSS (operations support system). 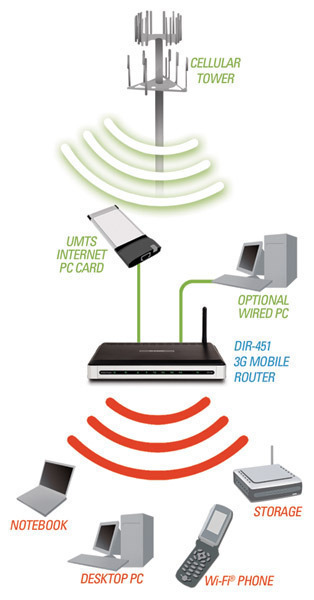 How Does the GSM Base Station Subsystem Work? 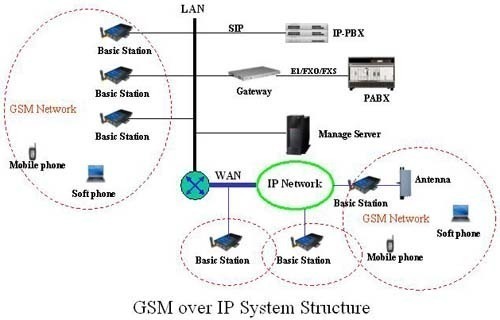 The GSM NSS (network switching subsystem), or GSM core network, is the part of a GSM network system that is responsible for carrying out call switching and mobility management functions for cell phones that are moving around the effective areas of GSM base stations. This part of the network is deployed by mobile phone operators and is what allows GSM cell phones to communicate with the PSTN (public switched telephone network) and each other. The GPS core network is the primary component that allows 2G, 3G, and WCDMA networks to communicate via IP packet to external networks and the Internet. GPRS is an integrated component of the GSM NSS. The OSS (or operations support systems) are computer systems that are used by GSM telecommunications service providers. OSS primarily involves supporting processes for the network that include provisioning services, configuring network components, maintaining network inventory, and managing network faults. GSM uses a voice CODEC to help fit 3.1 kHz of audio into the max data rates of the GSM frequency bands. The original CODECs used by the GSM standard were the Full Rate (13 kbit/second) and Half Rate (6.5 kbit/second). Each of these used a system based on LPC (linear predictive coding). These codecs helped bring the maximum amount of efficiency possible to the bitrates and also made it possible to prioritize and protect the more important components of the transmitted audio signal. In 1997, the EFR (Enhanced Full Rate) CODEC was published and implemented within the GSM standard. EFR brought a 12.2 kibt/second capability to GSM and makes use of a full-rate channel. Once UMTS was developed, EFR evolved into the AMR-Narrowband CODEC that is more robust against interference and is considered higher quality than the legacy GSM CODECs. How Does the GSM SIM Card Work? One of the significant breakthroughs achieved with the GSM standard is the SIM (Subscriber Identity Module) card. The SIM lets the consumer keep their phone’s information on a single card and provides the ability to rapidly switch phones. Additionally, the consumer is able to change service providers for mobile service by simply obtaining a new SIM card from the provider. Some cellular companies will make this task more challenging by locking the phone or SIM card; however, this practice has become more relaxed over recent years. How Does GSM Service Security Work? The GSM standard was designed with security in mind from the start. The network was created with the capability to authenticate subscribers using a pre-shared key and a challenge-response methodology. 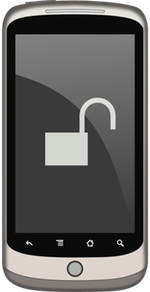 In GSM, the communications between the mobile handset and the base station can also be encrypted. With the development of UMTS, there is also an optional USIM (Universal Subscriber Identity Module) that provides a longer authentication key to give increased security and also provides an authentication of the base station to the user to guard against spoofing. There are several cryptographic algorithms used by GSM for security of the network. The A5/1, A5/2, and A5/3 stream ciphers are sued for voice privacy over the air with A5/1 being the stronger algorithm in use in Europe and the United States. GSM supports use of multiple cipher algorithms, so the algorithms can be changed by network operators as stronger ones emerge. GSM security issues such as theft of service, privacy, and legal interception continue to raise significant interest in the GSM community. For information on GSM security, visit the GSM Security portal. The digital standard known as the Global System for Mobile (GSM) has captured a large share of the global cellular market. This book aims to bridge the gap between a reader’s basic knowledge of telecommunications and the complexities of the 5000 page GSM technical specification. It describes the system as a whole, covering all aspects of the standard, including mobile stations, switching equipment, the radio interface, infrastructure, transmission methods, and signaling protocols. System architects involved in the design of personal communications systems will find the book to be a complete description of the GSM communications system. It also may serve as a general introduction to digital cellular systems. Introduction to GSM: Physical Channels, Logical Channels, Network, and Operation explains the basic components, technologies used, and operation of GSM systems. Readers will discover why mobile telephone service providers have upgraded from 1st generation analog systems to more efficient and feature rich 2nd generation GSM systems. They will also discover how 2nd generation systems are gradually evolving into 3rd generation broadband multimedia systems. This book starts with the system components and basic services that the GSM system can provide. Readers will learn that the key types of GSM devices include single mode and dual mode mobile telephones, wireless PCMCIA cards, embedded radio modules, and external radio modems. They will then discover the different types of available services such as voice services, data services, group call, and messaging services. Explained are the GSM system’s physical and logical radio channel structures along with the basic frame and slot structures. Described are the fundamental capabilities and operation of the GSM radio channel including channel coding, modulation types, speech coding, RF power control, and mobile assisted handover. Readers will learn how each GSM radio channels has 8 time slots per frame and that some of these are used for signaling (control channels) and others are used for user traffic (voice and data). Because the needs of voice and data communication are different, readers will discover that the GSM system essentially separates circuit switched (primarily voice) and packet switched (primarily data) services. Described are key functional sections of a GSM network and how they communicate with each other. Readers will learn how and why GSM is evolving into 3rd generation broadband systems including GPRS, EDGE, and WCDMA. GSM provides a service to more than 500 million users throughout 168 countries worldwide. It is the world market leader serving 69 0f all mobile digital users and is currently evolving into UMTS (Universal Mobile Telecommunication System). By describing the critical decisions and the phases of the development, this key text explains how the GSM initiative became a success in Europe and how it evolved to the global mobile communication system. Initially, the strategy and technical specifications were agreed for Europe and the subsequent evolution to a global solution was achieved by incorporating all non-European requirements and by inviting all committed parties worldwide to participate. The process started in 1982 and the first GSM networks went into commercial service in 1992. The first UMTS networks are expected in 2002 and the fourth generation discussions have begun. Presents a complete technical history of the development of GSM and the early evolution to UMTS. Clarifies the creation of the initial GSM second generation system in CEPT GSM, the evolution to a generation 2.5 system in ETSI SMG, and the evolution to the Third Generation (UMTS) in ETSI SMG and 3GPP. Covers all of the services and system features together with the working methods and organizational aspects. GSM and UMTS provides an interesting and informative read and will appeal to everyone involved in the mobile communications market needing to know how GSM and UMTS technologies evolved. The accompanying CD-ROM provides nearly 500 reference documents including reports of all standardization plenary meetings, strategy documents, key decisions, the GSM Memorandum of Understanding, and the report of the UMTS Task Force. GSM together with other technologies is part of an evolution of wireless mobile telecommunication that includes High-Speed Circuit-Switched Data (HSCSD), General Packet Radio System (GPRS), Enhanced Data rate for GSM Evolution (EDGE), and Universal Mobile Telecommunications Service (UMTS). what are the different component of GSM architecture ? what are the differences between GSM and WCDMA..?? i want a comparision between these two and the basic differences between them… can anyone tell…? WCDMA is more advanced than GSM, and is considered a 3G technology. It also uses a different frequency band. You can read our article about WCDMA, and this explanation of differences. 3G includes mobile internet, video calls, wide area wireless voice support and mobile TV support at speeds at least 200 kbit/s and up to 1Mbit/s for the latest versions of 3G. UMTS and CDMA2000 are 3G networks. I think most better phones, and all smartphones, are 3G enabled by now. 325 queries in 0.346 seconds.